It was in 1843 that the hipped roof of the tower, which was covered in stone flags, was replaced by a flat roof covered with lead. The pinnacles on the tower were given in 1844 by Peter Ainsworth, Esq. of Smithills, M.P. for Bolton. From ground level it can be seen that the carvings are of men's heads, but a closer view shows that they all make play with protruding tongues - one on the south east pinnacle being the "winner". 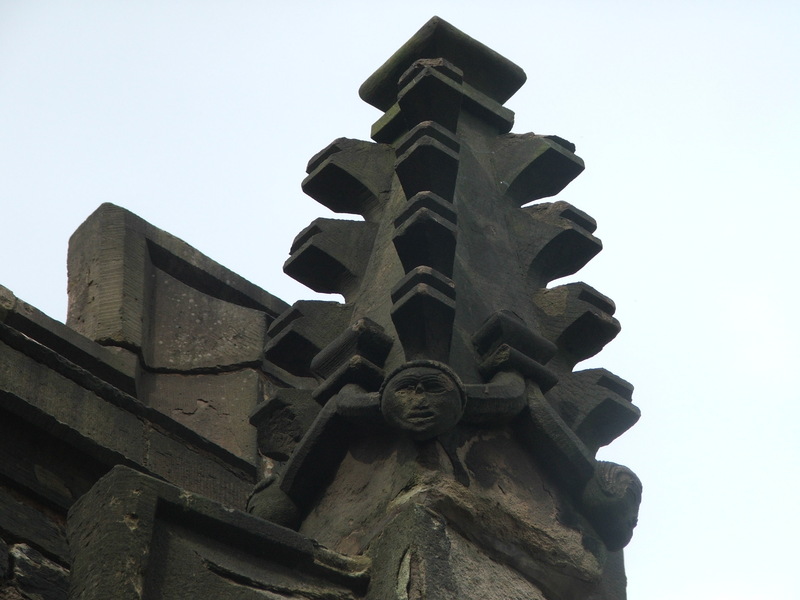 It is unusual to find carvings of this nature done about churches so late as 1844, but it is probable that they were carved to match the pinnacles on the eastern wall, which are of an earlier date. Following an inspection of the pinnacles, the top parts were removed in February 2018 as they were judged to be in a dangerous condition. The tops have been put in safe keeping and will be displayed at a later date.